A visit at Lay Bare’s Greenhills branch a few weeks ago brought back memories. Lay Bare was where I often had my waxing treatments done back when I was in college. With affordable rates for their waxing and threading services, it’s any woman’s go-to waxing salon. Nine years in the business and Lay Bare has proven that waxing shouldn’t be a traumatic experience. Lay Bare Waxing Salon is the brainchild of three siblings – Fiona, Monique and Paolo, all business graduates. It all began when sisters, Fiona and Monique tried to satisfy their hair removal needs through the Metro’s range of beauty parlours. They experience lengthy waiting time, uncomfortable beds, and the most traumatising encounters because there were no other alternatives. Frustrated with the establishments that treated hair removal only as a sideline service, and therefore, were not looking to improve their facilities; the sisters finally conceptualised a salon specialising on hair removal alone. I tell ya, necessity truly is the mother of invention, or in this case, creation. Each treatment room has a comfy bed, mirror, robe and essentials for waxing or threading. Sheets are changed after every client, making hygiene an utmost priority, next to virtually ouch less waxing that is. 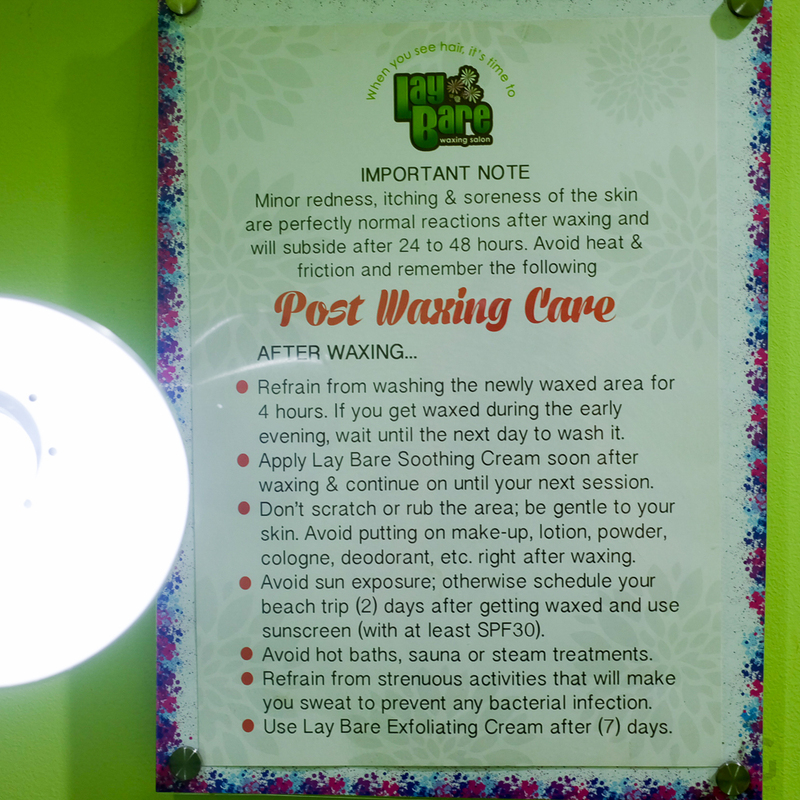 Lay Bare Waxing Salon believes that being hair-free is just the bare minimum. You gotta be Bare Ready! Love how witty and puny (see what I did there?) their tagline is. It’s true that no decent woman should be caught with hairy legs while wearing a dress or shorts. No woman should shy away from wearing sleeveless or raising their hands because they’re not bare ready. Ladies, fret not for Lay Bare’s got us covered. 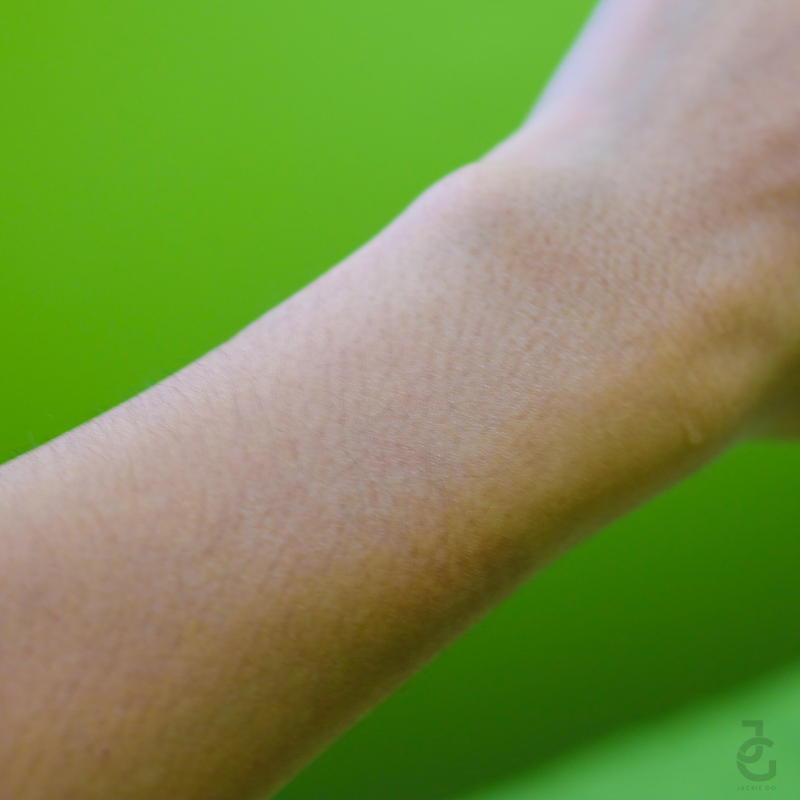 I don’t really wax my arms on a regular basis, so as you can see, the hair’s pretty obvious, longer than it used to. I know, I know, I should have it waxed regularly. Good thing there’s a Lay Bare just 5 minutes away from where I live. Hair-free arms na to! 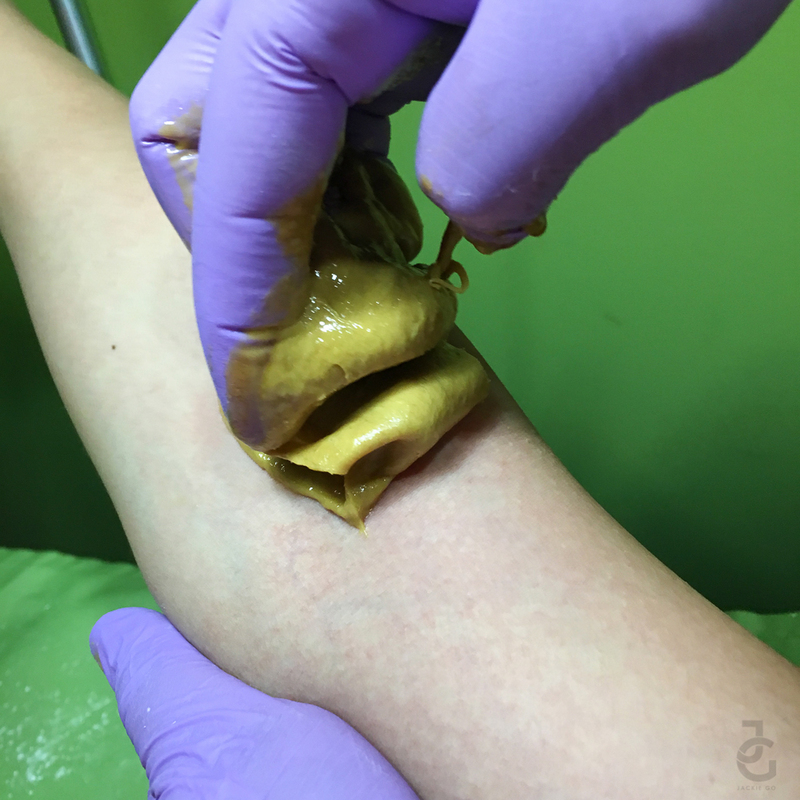 Before proceeding to waxing, the area that’ll undergo hair removal is prepped first. It gets cleansed then afterwards applied with powder. Lay Bare created Thorough Care. #ThoroughCare is their patented cold jelly wax formula that contains calamansi, sugar, and honey. Calamansi helps whiten skin, sugar exfoliates and removes dead skin cells, and honey contains antioxidants that help fight wrinkles. Since Thorough Care uses cold wax, there’s no double dipping or stripping involved. They use the patch wax technique where a small portion of the area is done at a time. 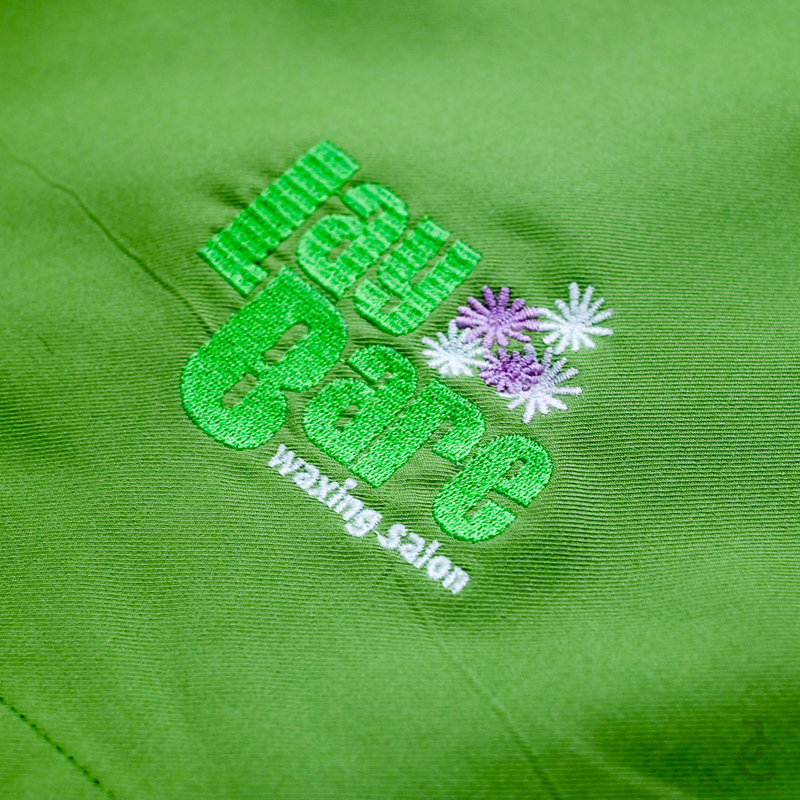 With Through Care, your waxing doesn’t just remove unwanted hair. Waxing with Laybare’s Through Care treatment is just the start to achieving lighter, softer and smoother skin because being hair-free is just the BARE MINIMUM. I notice that the push-pull technique effectively removes even the finest hair on my arms. I like how mess-free waxing at Lay Bare is. No wax left overs nor sticky feeling after. Totally hair-free! Leaving my arms smoother than ever. Ay lavett! Post wax reminder are posted on each room. from left: Ultimate Lightening Gel, Exfoliating Cream, Soothing Cream, and Lay Bare Scent. Aside from the post waxing care, Lay Bare also offers post-waxing products that can help better take care of your skin. Ultimate Lightening Gel helps lighten dark spots and safely eliminates dry and rough skin through continuous use. Works best on Underarm and Bikini areas. Exfoliating Cream prevents the build up of dead skin cells that can clog pores and cause ingrown hair with this newly formulated, paraben-free exfoliating cream. Soothing Cream works as a skin conditioning agent which helps reduce skin redness and irritation after your waxing or threading session. Lay Bare Scent relieve the occasional stress and anxiety and achieve a positive mood with Lay Bare’s aromatherapy oil. Here are my snaps (follow me on Snapchat: gojackiego) from when I had my waxing and threading at Lay Bare. See how I didn’t even flinch? 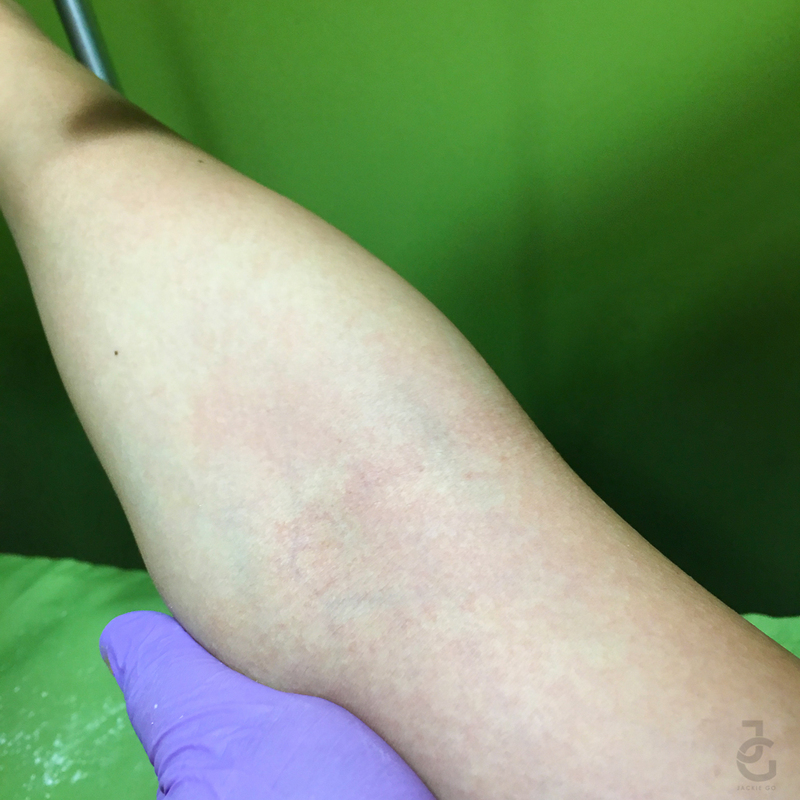 For someone who has low tolerance for pain, Lay Bare is one of the waxing salons I I like going to because when it comes to removing hair, they do it virtually pain-free. If you’re hairy like me, you might want to take advantage and avail of the different packages Lay Bare offers. 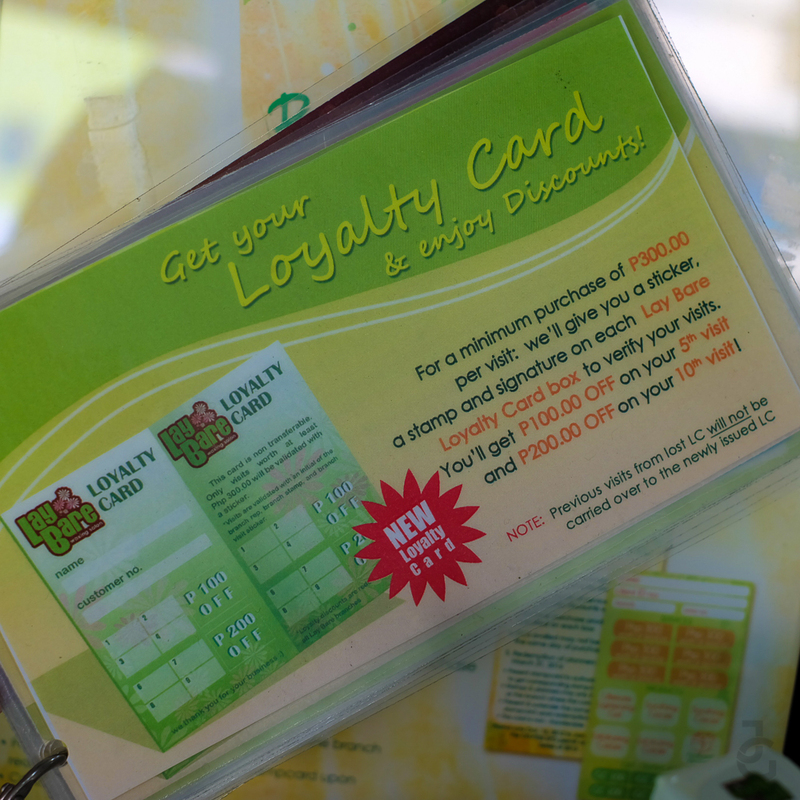 They also have a loyalty card that lets you enjoy perks and discounts! THE PLC (Premier Loyalty Card) is offered to loyal clients who have availed an accumulated amount of P5,000 worth of of threading and waxing services. Qualified clients may register online at www.lay-bare.com to redeem the PLC card and enjoy 10% off on all waxing services and other discounts from partner merchants. For a full list of #LayBare stores, please click HERE. May I ask when-how long you should stop applying the exfoliating cream before you have another waxing session? I forgot what a staff said to a couple of days ago when I had my underams waxed. Hi! I just wanna ask, will they accomodate minors? I’m still 17 and I’m having difficulties with my “hairy” problems. Hello! Do you use exfoliating cream and deo at the same time? If not, when should i use the e. cream and the deo? Please reply, i bought the 2 and don’t know when to use them 😢 Thank you!